Our cover girl this issue is the bold and beautiful Taapsee Pannu, who talks about how she didn’t plan to be an actor, but was destined to be one. Catch the conversation as she also talks about her film journey so far, her greatest indulgences, and how Pink boosted her career. It being the Jewellery special issue, the big story is about six jewellery designers who share their biggest and unending inspirations when it comes to their craft. Our relationship story will help you make a good first impression when you meet your partner’s parents, while our fashion edit features jewellery that will help you make a bold style statement. The beauty feature this issue is all about edgy hairdos that will make you stand out in a crowd, and our food pages will give you three delicious Middle Eastern recipes you can make at home. Find all this and more in this issue, so go grab your copy now! 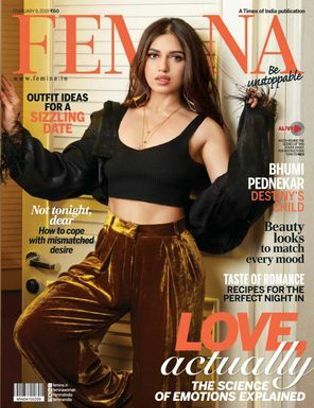 Buy (Order online) Femina Fortnightly Magazine (Magasin) Now. 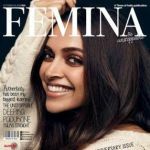 Femina Fortnightly Magazine prices are inclusive of shipping and handling through USPS. (for US deliveries). For other Countries shipping will be handled through their Postal Services (like Airmail in India). Address for delivery (Subscription) can be changed anytime. Please mail us the changed address details to info@magazinesemporium.com. 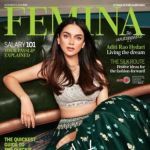 The story of Femina, India’s first and most read women’s English magazine, unfolds much like the story of the urban Indian woman. 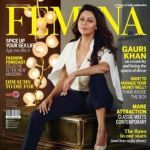 For over 50 years now, Femina has been capturing the essence of the modern woman and how she has been evolving. 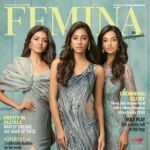 Over the years, Femina’s readership has grown steadily, with over 60% of its English edition readers being in the age group of 25-45 years and over 76% of its Hindi edition readers being in the age group of 16-45 years. Today, our reader is not ‘just’ a homemaker or ‘just’ a professional, but she is both and more. And just like our readers, we too have evolved. 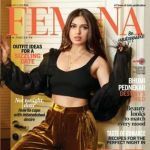 Today, Femina has an online incarnation: ‘www.Femina.in’, and with this, Femina aims to reach out to women through the entire day. The website covers a huge bandwidth of topics including fashion, relationships, beauty, buzz, health, and food, and columns like Your Space and Spotlight make it a one-stop-destination for women, online. The website also features user-generated content in the form of tips, communities, forums, polls, contests and other interactive content which add to the experience of the end user. 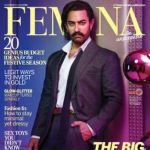 Femina Fortnightly Magazine subscriptions will commence either from current issue or from next coming issue. The Fortnightly English Magazine will be shipped immediately on getting the issues from the publisher. They are inclusive of Diwali and Annual issues. 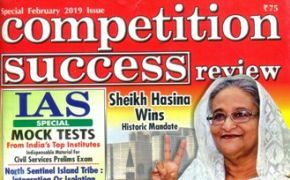 Any special issues will also be sent free.